RALEIGH – The Southeastern OSHA Training Institute Education Center (OTIEC) in Region IV, led by NC State University and The University of Tennessee, has signed an Alliance with the U.S. Department of Labor’s Occupational Safety and Health Administration’s Atlanta Regional Office. 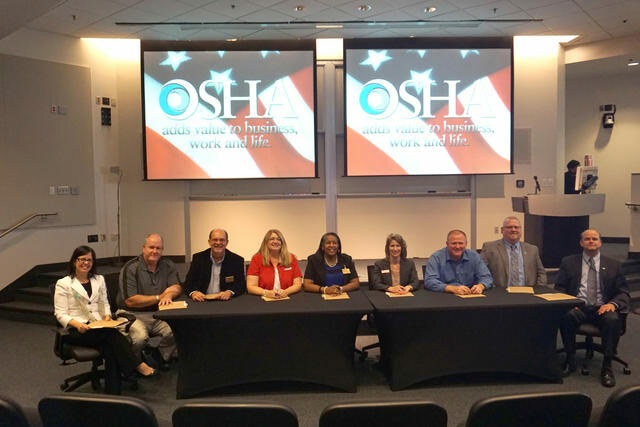 Signed on September 29, 2015, at the Third Annual Region IV OTIEC Directors Meeting at the Georgia Tech Global Learning Center in Atlanta, the Alliance aims to foster safer and healthier workplaces. OSHA works with the public to promote safe and secure workplaces and to enhance worker voice in the workplace. OSHA joins with groups committed to worker safety and health, including unions, consulates, trade or professional organizations, faith- and community-based organizations, businesses, and educational institutions, to leverage resources and expertise to help ensure safe and healthy workplaces and worker rights under the Occupational Safety and Health Act. The Alliance confirms the continuation of a vital collaborative relationship that provide OTIEC’s students and others with information, guidance, and access to training resources to help protect the health and safety of workers, particularly by reducing and preventing exposure to prevalent health and safety hazards in the general and construction industries while enhancing their understanding of workers’ rights and the responsibilities of employers under the Occupational Safety and Health Act (OSH Act). The Alliance serves as a voluntary cooperative relationship with OSHA for purposes such as raising awareness of OSHA’s rulemaking and enforcement initiatives, training, education, outreach, and communication.